Shaun Adamson, of Adamson and Son, is back with his rad leather goods!! He first joined us in December of 2017 and just like his impeccable work, he was a perfect fit! 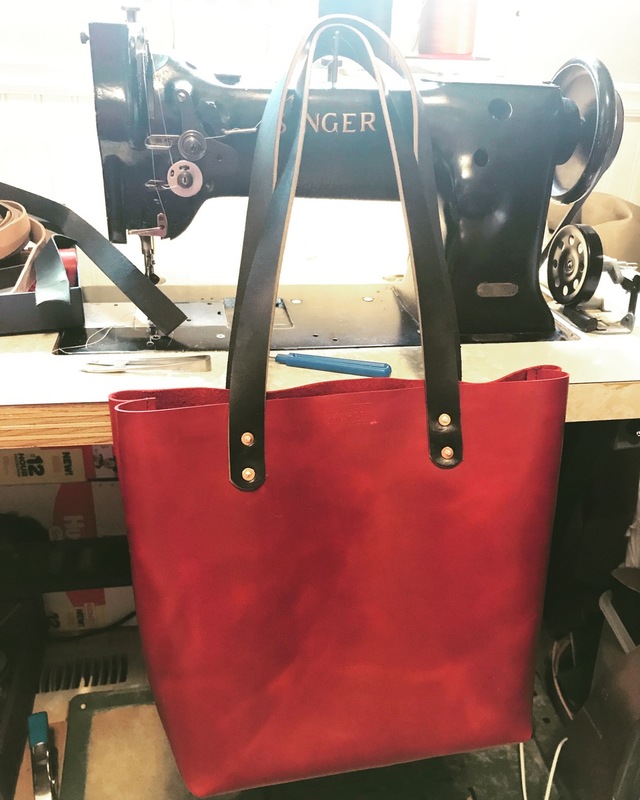 Shaun had this to say of his products: "I make handmade leather goods. I started by making functional pieces for myself, my family, and my friends and it just grew from there. I really like to make functional goods that people use and love for a long time." It really is stunning to see leather look as good as his does... Keep up with Shaun's progress on instagram (@adamsonandson) and read on down below for a good look at what makes Shaun tick! A&S: I really like to make things people want, need, and will use. I actually spent most of my life thinking I was creative, but since I’ve been working with leather lots of people have complimented me on my creativity. I still doubt it sometimes, but I just really like simple things that practical and well made that will last a long time. A&S: I’m working on a purse prototype based on my mother-in-law’s and my mom’s requests. I’m still prototyping, but hoping to have it finished for Mother’s Day! A&S: Oh man! I have so many! I really like Greg from Ryaton, the idea of making shoes seems really daunting. Further away, focusing on leather goods, I like Odin Leather Goods in Texas, One Star Leather Goods in California, and I’ve been really impressed with Little King Goods in Ontario. Locally, we have multiple Justine Ma pieces in our house, an Edmonton Neighbourhood Maps, and a Folk Fest print from Snow Alligator--I guess I like things that go on walls. Most of my pieces are named after the person who first bought it or inspired the design, which I think is just cool, so I suppose you could say my biggest inspiration is the people who buy my goods! www.adamsonandson.com <<< Check out Shaun's full line of products here!